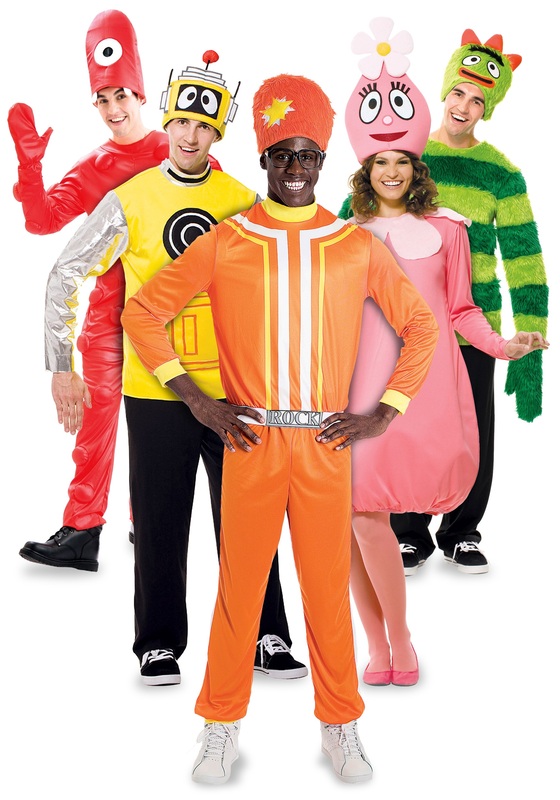 This group Halloween costume package comes with all 5 members of the Yo Gabba Gabba group for one low price! All costumes are Size Large (see specific product pages for exact measurements) and you get DJ Lance, Muno, Brobee, Foofa, and Plex. Perfect for a group Halloween costume!